The mission of the Strategic Thinkers is to serve as BestCities’ marketplace co-creation partner, providing counsel on trends and operational experiences to help guide the future direction of the Alliance. One of the fundamental values of BestCities is our commitment to results-driven partnerships so we have recruited key association and meeting executives to not only share their experience, unique insights and knowledge but to also become international Brand Ambassadors for BestCities. The International Society on Thrombosis and Haemostasis (ISTH) is a global not-for-profit organization advancing the understanding, prevention, diagnosis and treatment of thrombotic and bleeding disorders. Today, the ISTH’s impact and contributions span six continents. With more than 3,800 members in over 94 countries, we are now the leading thrombosis- and haemostasis-related professional organization in the world. 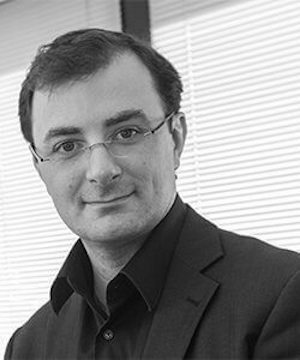 Dr Borisch is an MD and a Histopathologist, MPH and Fellow of the Royal College of Pathology (UK). Her scientific research work delves into neoplastic lesions of the immune system and breast cancer. Her interests also include community-based oncology, health communication and global health. She studied medicine and history at the Universities of Kiel (Germany) and Lausanne (Switzerland). She is appointed professor and head of the Institute of Clinical Pathology / University of Geneva in 1995. 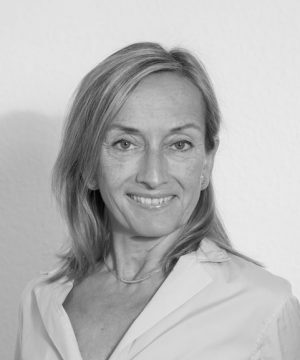 She becomes the president of the Swiss Cancer League’s program against breast cancer. She completes an MPH in 2005 and orientates her activities to Public Health and Global Health. She joins the Institute of Social and Preventive Medicine in 2005 (from 2015 on: Institute of Global Health. She is Editor in Chief of „Pathobiology“ and the Co-Editor of „Journal of Public Health Policy“. In addition to her academic work she acts as the Director and Head of the World Federation of Public Health Associations and holds positions at several Committees of Public Health oriented institutions. She was president of Europa Donna – The European Breast Cancer Forum and Founding President of the Swiss Forum of Europa Donna. She teaches at the University of Geneva, the Swiss School of Public Health and she also teaches patient support groups. She is (co)author of over 120 scientific papers. Alessandro Jacques Cortese is since 2009 the Chief Executive Officer of ESTRO, the European Society for Radiotherapy and Oncology and Chairman of the ESTRO Cancer Foundation, and was, until June 2015, President of ESAE, the European Society of Association Executives. Founded in 1980, ESTRO is a non-profit and scientific organization that fosters the role of Radiation Oncology to improve patients’ care in the multimodality treatment of cancer. With over 6,500 members in and outside Europe, ESTRO’s mission is to promote innovation, research, and dissemination of science through its congresses, special meetings, educational courses and publications. 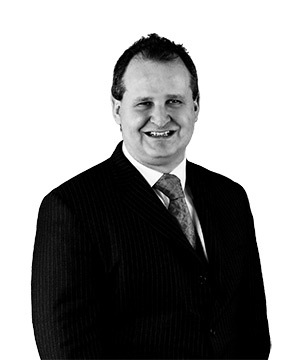 Previously, Alessandro was Director of the Association Management practice at MCI, based in Brussels. 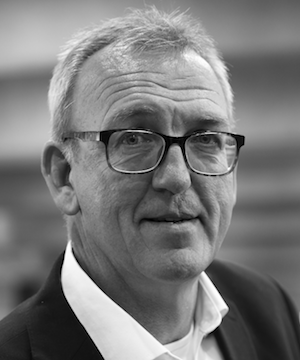 In this capacity he was responsible for consulting clients on strategy and products offering, and for the maintenance and development of the competency of the MCI Brussels office in the AM practice. Alessandro has gained significant experience working with international associations, particularly heading up the EMEA (Europe, Middle East and Africa) office of the Project Management Institute (PMI). Within the scope of the collaboration with MCI, Alessandro served in key management and consulting roles for several international associations such as IAEE (International Association of Exhibitions and Events), DMAI (Destination Marketing Association International), CIC (Convention Industry Council) and APICS (The Association for Operations Management). Before working in the association domain, Alessandro worked as a marketing and communications specialist for AT Kearney and for McCann-Erickson, based in Milan, Italy. Alessandro Cortese is a graduate from the University Statale degli Studi di Milano, with a degree in political sciences and an MBA from the same institution. He is also a PhD candidate in Management Sciences at the University of Antwerp. Other academic accomplishments include serving on the Faculty of Economics, Department of Political Economics at the University Statale di Milano as a lecturer of economics of culture. In 2015, Alessandro co-founded the Executive Master in International Association Management at the Solvay Business School in Brussels, where he also serves as a Lecturer in Strategy. Alessandro is regularly invited to give talks to industry events and congresses, focusing in particular on strategy for International Associations. He is also a member of the International Advisory Boards for Destination DC, MyCEB Malaysia, PCMA (EMEA) and BestCities. I have worked in the Association Meetings and Events Industry since 1995 when I was recruited by one of the world’s largest Professional Congress Organisers and Association Management Companies. In recent years I have held senior executive management positions as Owner, Managing Director, Senior Strategic Consultant/Advisor and Sales and Marketing Director of various companies in the Meetings Industry. The majority of my time currently is out of the Meetings Industry heading up a new venture in the UK in the Sustainability and Environmental Sector. I have specialist knowledge in the medical association, pharmaceutical and device sectors including in depth understanding of compliance and guidelines in relation to educational and congress activity. I have developed niche experience in the area of corporate partnerships and have first hand experience of significantly increasing revenue for associations through strategic insights and management of industry partners and sponsors. Over my career I have built many close business relationships with a network of association leaders, medical professionals and senior pharma executives who I have worked with as well as with colleagues in the Meetings Industry. I have sat on numerous industry advisory boards including Tourism Montreal, Confex & The UK Meetings Show & acted as a Liverpool Ambassador. I have recently been appointed to the Best Cities Advisory Board. I have been a board member of The Association of British Professional Conference Organisers (ABPCO) on and off since 2009 & Chairman from 2011 – 2013. I was was appointed Honorary Life Member of the Association in 2015. I am a keen triathlete & golfer & have a passion for charity, photography & international travel. I am married to fellow South African Lauren, have 3 gorgeous children Josh, Allie and Evie and don't forget Milo our portuguese water dog! 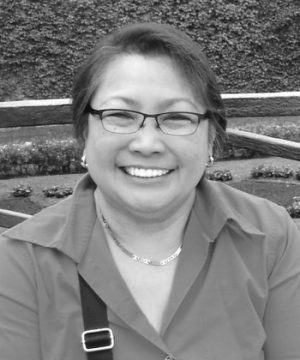 VENUS M. ILAGAN from the Philippines, is the Secretary General of Rehabilitation International - the first person with a disability from a developing country to serve in that capacity since RI’s establishment in Elyria, Ohio, U.S.A. in 1922. She was the first woman World Chairperson of Disabled People’s International. Prior to joining RI, Venus was the project manager of a national rehabilitation program which provided services to over 14,000 children and youth with disabilities in the Philippines. She has been a member of the Editorial Committee for the World Report in Disability – an initiative of the World Health Organization and the World Bank. She also participated in the development of the World Health Organization’s (WHO) CBR and Wheelchair Guidelines and was a member of a team which produced reports on disability for the Asian Development Bank and the Finnish Ministry of Foreign Affairs. Venus actively took part as a member of Civil Society in the elaboration of the UN Convention on the Rights of Persons with Disabilities (CRPD), contributed to the work for the Post-MDGs/Sustainable Development Goals (SDGs) and has been consistently invited as speaker/resource person on disability and development in events of the UN and its agencies including the World Bank. 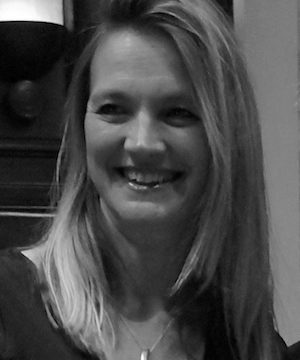 Sarah Johnson is the Chief Executive Officer of the International Society of Ultrasound in Obstetrics and Gynecology, a professional membership association and UK charity. She has lead the Society through from its early years after inception to its current position as the leading international association on women’s imaging with over 13,000 members in 127 countries. In that time she has driven significant new initiatives in online learning and Education, increasing the reach and dissemination of the Society’s growing resources through satellite education, ISUOG’s outreach programme to underserved regions, regional ambassadorship programmes and partnerships, whilst overseeing the continued growth and development of ISUOG’s flagship World Congress and peer reviewed Journal. Her professional interests and early career began in science research in the same field and she holds a masters in non-profit management from City University, London. She remains passionate about the role of continued medical education in improving healthcare provision. Lauren is experienced in many facets of association management, including strategic planning, branding, marketing and managing large-scale conventions. Her work at the International Council of Ophthalmology, the American Academy of Otolaryngology and the Society of Nuclear Medicine and Molecular Imaging was global and diverse. She wrote the transition plan for ICO to assume management of the World Ophthalmology Congress as well as the marketing and branding plans for the WOC, a global meeting of over 19,000 eye care physicians and professionals. At AAO, she was responsible for growing meeting revenues from $4 million to $6 million. Lauren has worked on programs in the US, Canada, Japan, Mexico, Brazil, Spain, the UAE, South Korea, Germany, Scotland, England and Italy. Meeting Priorities is currently engaged in work with clients on events, social media and marketing plans, audits of CME/CE processes, designing educational sessions and contracting speakers, among other projects. 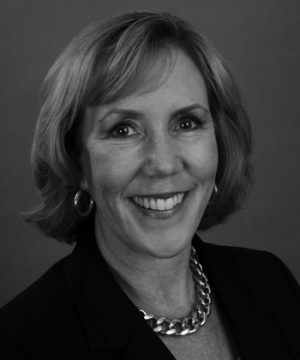 She served on the PCMA Board of Directors from 2000-2003, was a founding member of the Capital Chapter where she served as President, and is a member of the PCMA Foundation’s “Legacy Society”. 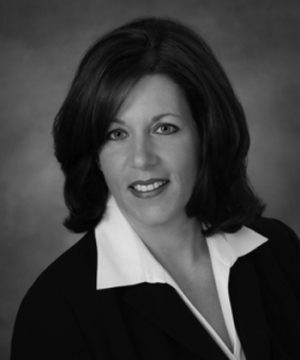 Lauren has served on industry advisory boards and taught at a community college. She earned her Master’s in Tourism Administration from George Washington University in 2008.
meet, invest, work, learn and live. Professor Lee Yuan Kun is an Associate Professor in the Department of Microbiology at the National University of Singapore, where his professional interests lie in topics of Microbe-host interaction, probiotics, microbial fermentation, enzyme technology and photosynthetic algal biotechnology. His knowledge and strong leadership qualities lead him to being elected as the President of the Singapore Society for Microbiology and Biotechnology (SSMB). As an expert in his industry, he was the former President of the Asian Federation of Societies for Lactic Acid Bacteria (AFSLAB) (2009–2014) and the current President of the International Union for Microbiology Societies (IUMS) (2014–2017.) He is also a Scientific Advisor to the International Life Sciences Institute (ILSI) Southeast Asia Region and Chairman of the Biological & Chemical Committee, Singapore Laboratory Accreditation Council. 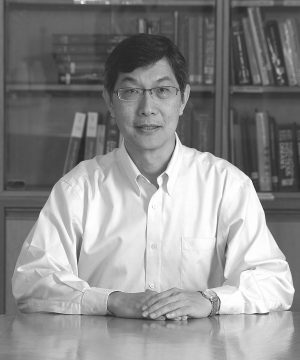 Under his leadership, Professor Lee has led the Singapore Society for Microbiology and Biotechnology and worked alongside with Singapore Tourism Board (STB) to win the hosting rights for the World Congresses of the International Union of Microbiological Societies (IUMS) 2017, which is expected to attract around 4,000 foreign delegates over a six day programme. Above all, Professor Lee is selected as STB’s Conference Ambassador and was recently awarded the Best Business Event Champion awardat the Singapore Experience Awards 2014, in recognition for his remarkable dedication and efforts in championing Singapore’s MICE industry. Professor Lee has also worked closely with STB on MICE 2020 –a medium-term roadmap jointly developed by STB and the industry to strengthen Singapore’s leadership position as a MICE city. 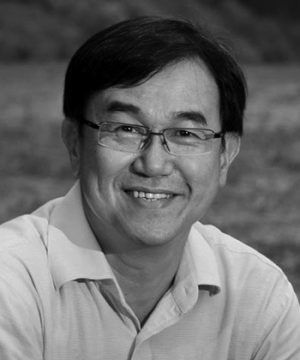 Jack Sim is the founder of World Toilet Organization (WTO) and BOP HUB, and a leading global advocate for sanitation. Formerly a businessman he founded WTO in 2001, after attaining financial independence at age of 40 and deciding to devote the rest of his life to social work. WTO broke the global taboo around toilets and sanitation by bringing it to centre-stage with a unique mix of humour and serious facts. In 2001 WTO declared its founding day 19 November as World Toilet Day. In 2013, 19 November was designated as UN World Toilet Day - the day is now celebrated globally each year as a day to raise awareness of the need for action to end the sanitation crisis. 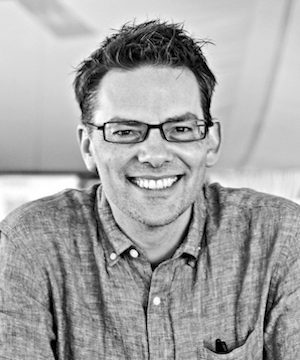 In 2011, Jack founded BOP HUB to help scale up market-based solutions to alleviate poverty and improve lives at the Base of the Pyramid (BoP). The organisation catalyses and strengthens cross-sector collaboration and participation in inclusive business in sectors including energy, housing, water, agriculture, and health. Jack received the Schwab Foundation award for Social Entrepreneur of the Year in 2001. He is an Ashoka Global Fellow, and was named one of the Heroes of the Environment for 2008 by Time Magazine. MCI is the largest global congress management company in the world with offices in 55 cities and 28 countries in Europe, India, Africa, Middle East, Asia Pacific, Canada, and Latin America. I lead the congress management practice with responsibility to manage MCI's global congress solutions and implement ambitious worldwide expansion goals. My mission is to help associations and federations take advantage of all the possibilities of the digital age, through product development, engaging with the online world, and generating revenue. We work with associations and federations to help them leverage expert strategic knowledge, regional resources and local infrastructure, tap into new markets, drive membership, increase efficiency and improve return on investment. 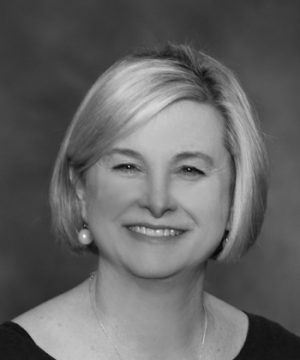 Nancy Witty has served as the CEO of the International Society for Stem Cell Research (ISSCR) since 2005. Before coming to the ISSCR, Nancy was the associate director of research administration at the New York University Child Study Center. Nancy also has served in senior administrative positions for the American Board of Psychiatry and Neurology, Northwestern University Medical School, the Accreditation Council for Graduate Medical Education, and the American Academy of Pediatrics. Nancy earned a bachelor’s and master’s degree from the department of behavioral disabilities at the University of Wisconsin-Madison. Douglas William Oliver, has specialized through obtaining two doctoral degrees, one in Pharmacology and one in Pharmaceutical and Medicinal Chemistry in the fields of in vivo cerebral perfusion pharmacology and in drug discovery, respectively. He has been in several managerial positions since late 1980s. He served in several managerial positions since the age of 32. He was Director (Dean of Pharmacy) at the North-West University and Research Director of Drug Research and Development and Director of Pharmacy at North-West University. He held positions as head and Professor of Pharmaceutical Chemistry as well as head and is still current Professor of Pharmacology. . He has trained more than 40 doctoral and master degree students in pharmacology and pharmaceutical and medicinal chemistry. He is author of some 110 publications, USA, European, South Africa, Japanese patents and involved in more than 250 national and international presentations in 25 countries. He served as executive committee member of International Union of Basic and Clinical Pharmacology (IUPHAR); He is the Founder and Chair: of “Pharmacology for Africa” involved in training and capacity building on the African continent; President (past): South African Society for Basic and Clinical Pharmacology. He served as President of a most successful: 17th World Congress of Pharmacology 2014 (WCP2014), Cape Town recently. He has been appointed Ambassador of the South African of Business Events of the Department of Tourism. He has organized several national, continental and international congresses and has served on the boards of several international events. 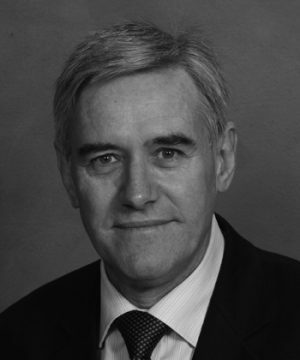 He has been active in medicine regulation since the late 1980s as an appointed expert in several committees of Medicine Control Council as member, chair and vice-chair (Pharmaceutical & Analytical, Scheduling); specialized task teams for biosimilars, non-substitutable medicines and complementary medicine. He is a current serving council member of Medicine Control Council. His regulatory skills extend to the field of regulatory auditing, i.e. Active Pharmaceutical Ingredients (API) and Final Finished Products (FFP) and is also involved in regulatory training. He is certified European Council Active Pharmaceutical Ingredient auditor. He has serves on committees and as council member of the South African Pharmacy Council. He serves on several international scientific advisory boards. He is appointed South African Business Events Ambassador appointed by Department of Tourism since 2014. He was a frequent marathon and Comrades runner, sky diver, bungee jumper. He is an advanced scuba diver and a keen underwater photographer. His hobbies are painting (oil and acrylic) and photography. Forever Living is a privately-owned, global direct selling company with a head office in Arizona, USA. The objective of the organization is to make people look better and feel better with several million business owners sharing their aloe vera based nutritional products and home-based business opportunity. As Vice President of Communications, Nick heads-up an extended team that manages global marketing activity and events across 150 countries. 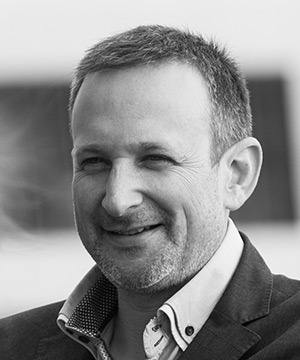 Nick worked on his first event for Forever Living in 1999 and has since gone on to personally produce events in over 40 Countries around the world, creating complex, award-winning incentives for up to 20,000 people. Outside of Forever, Nick is a passionate photographer, specializing in theatre, dance and concerts, and has been commissioned to shoot well known performers such as Sting, Peter Gabriel, The Killers, Muse and The Rolling Stones. What drives Nick? Creating emotional experiences that affect a lasting change for his guests. Ella Robertson is the Managing Director of One Young World, the global forum for young leaders. Ella oversees the annual One Young World Summit which has taken place in nine different cities across the world, from Bangkok to Bogota. Ella’s main passion is building communities. Ella recently founded W1 Debates which seeks to create robust but civilised discourse on foreign policy issues by hosting live debates and forums. Alongside this, Ella is the Co-Founder of the Sino-German Initiative, a new venture which will be running conferences and programs to increase the business and cultural relationships between Germany and China. 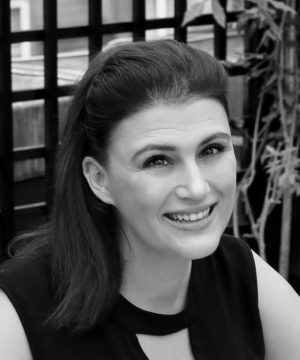 Ella read English Literature at Balliol College Oxford and began a law training contract with a Magic Circle firm before changing track and pursuing a career in the third sector. She was on the Scottish International Debating team and lives in Marylebone where she is a governor at a local primary school. 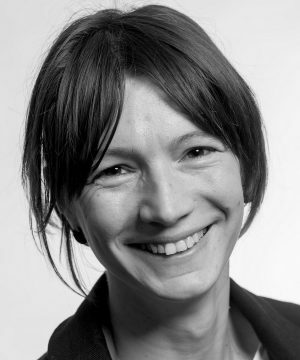 Laetitia Delzenne joined the International Association of Public Transport (UITP) in 2010, worked formerly as Events Manager before joining the Corporate Department acting as Senior Projects Manager, dealing with projects submission approval and management of major UITP projects (e.g. the Global Public Transport Summit). With almost 130 years of history behind it, the UITP Summit proudly remains the world’s biggest event dedicated to sustainable mobility. Recently, Laetitia has also been appointed Manager of the Design & Culture Platform, a platform at the crossroads of several disciplines including product design, architecture, wayfinding, urban planning and experimentation of new forms of mobility. As a passionate champion of sustainable urban mobility, UITP is working to enhance quality of life and economic well-being by supporting and promoting sustainable transport in urban areas worldwide. Before joining UITP, Laetitia has been working for several temporary art projects, artists and art biennales in various location i.e. Brussels, Gwangju, Lille, Medellin, Oslo and Sydney. She hold a Master in Cultural Projects Management (2005) from France and a Master in Art Administration/Management (2008) from Australia. She lives since 2009 in Brussels. Her interests include all different forms of art and culture.